Of course, achieving such change will not be easy. Populations are continuing to increase, people in all regions are living longer, and urbanisation is on the rise; thus there will be an increased demand for resources. But, with the right collective mindset and action, this change is possible. This is not just about reducing, it’s about reversing. It’s not about negating the negatives, it’s about pursuing the positives. This is about all of us embracing the fierce urgency of NOW. And that starts right here, at the 2019 Sustainability Leaders Forum. Over these two days, you will become part of a community of business leaders, sustainability practitioners, government representatives, NGOs and investors – all with a common goal: to transform business, for good. A host of thought-leaders including Jonathon Porritt, Liz Goodwin, and Philippe Joubert will share the stage with sustainability figureheads from Unilever, Coca-Cola, Carlsberg, Interface, Tesco, BT, Kellogg, M&S, IHG, Whitbread, ING and more, giving you the insight, inspiration and information you need to drive change. What’s more, Climate Minister Claire Perry will be discussing how business and Government can achieve sustainable growth together, and young entrepreneur Felix Finkbeiner will share his inspiring story of The Trillion Tree Campaign. Most importantly, this event is about YOU. Throughout the event, we will be offering up live debates, podcast discussions, ‘ask us anything’ sessions and challenge-based workshops to give you the most immersive and interactive experience possible. I am truly proud of this year’s Sustainability Leaders Forum programme – it’s development was a real collaborative effort, which is reflected in the calibre of the speakers and uniqueness of the content. I hope you enjoy it, and I look forward to seeing you there. 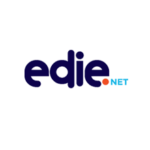 edie.net – a trusted and integral part of the workflow of more than 69,000 energy and sustainability professionals. It delivers daily news and commentary, expert advice and business tools, downloadable industry reports, exclusive research and whitepapers, access to video and webinars, opt-in daily and weekly newsletters and a comprehensive directory of peer-reviewed product and service suppliers. edie.conference – the UK’s leading portfolio of content-led sustainability, energy and resource efficiency events. We deliver strategic, operational and skills-based learning and insight for all levels of experience, from those beginning their career to the leaders in the sector. edie.Live – the annual flagship two-day exhibition and conference attracting thousands of energy, sustainability and resource efficiency professionals. 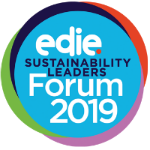 From practical seminar theatres to the strategic edie Leaders keynote, from technology demonstrations and the latest business solutions to tailored visitor experiences via sustainability clinics and topic trails, edie Live brings the edie network to life. We connect people with the information, ideas and the suppliers they need to make their businesses more sustainable. 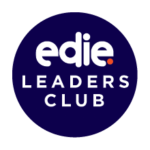 edie.Leaders Club – creating the space for conversation and collaboration, edie Leaders Club is an exclusive, member-only club providing a programme of free, informal, peer-to-peer networking events, breakfast briefings and strategy-focused events.